Samantha Delaney sees the book of poems as clues that her father is in trouble, so she travels to the Nevada Territory to find him. Unfortunately, she must deal with two men of totally opposite persuasion, but both of whom think she needs a guardian. 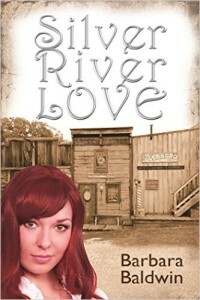 Her gentleman companion Roger Smith, and the ever-present Sheriff of Silver River Tyler Sloan, go out of their way to aggravate her, interfere with her investigation, and create a disturbing emotional upheaval in her life. Roger has a somewhat reticent nature, which Samantha considers an asset since she feels she can, given enough time, mold him into the kind of husband she wants. However, as Samantha unravels the clues to her father’s whereabouts, she finds Roger is not who he seems and there is far more to Sheriff Sloan than she first thought. His passion for life, and the passion he awakens in Sam have her quickly rethinking her ideas of independence.